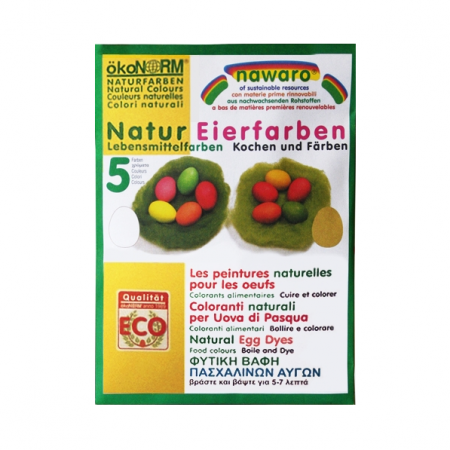 Transform eggs into a colourful, edible display with this natural colour dye kit. 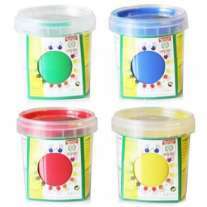 This set contains five colours - red, yellow, green, orange and pink. Add a colour sachet to water to make enough dye to dye around 5-7 eggs. Using for additional eggs will result in a less intense colour. 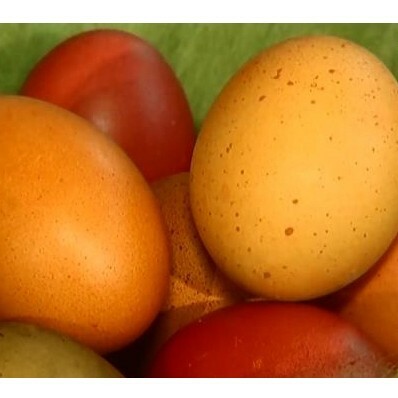 Due to naturally occurring pigments in the egg shell, eggs may come out in different shades. Once dyed, you will be able to eat these colourful hard-boiled eggs. Dyeing eggs is an ideal craft session for Easter but can be enjoyed year round by young children. Pour 750ml of cold water into a stainless steel saucepan - don't use enamel pans as they will be stained by the dye. Add one dye sachet. Place 5-7 eggs in the saucepan, ensuring they are covered by the water. Bring to the boil, stir the dye and allow to boil for 7-10 minutes. Remove the eggs from the pan and set the colour by running under cold water. If the dye solution is reused, the effect won't be as strong. 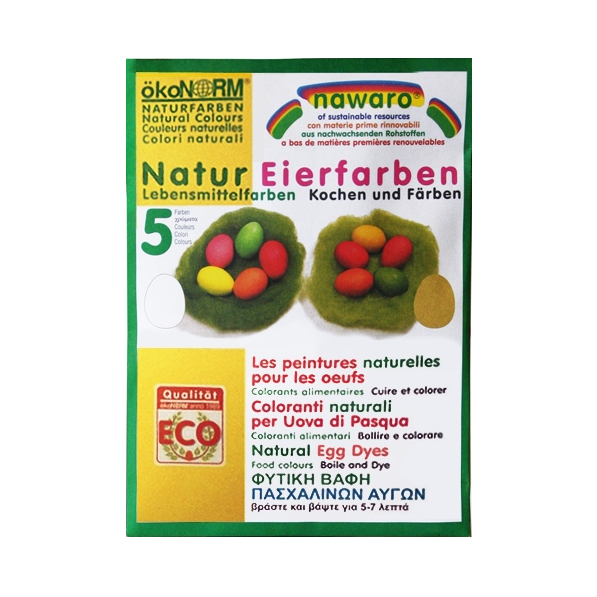 These egg dyes are made with curcumin, chlorophyllin and cochineal natural food colours and rock salt. It is gluten-free. Get creative with high quality natural art and craft materials from OkoNorm - we have everything children need to create masterpieces without harming the planet. The eco range includes paint, crayons, pencils, chalk and modelling clay - all made with non-toxic, renewable materials and come with minimal eco packaging. OkoNorm products are all ethically made in Germany and will appeal to green parents, Montessori nurseries and Waldorf Steiner educators who are looking for natural craft materials.